Eighty-eight percent of online adults in the US have turned to the web to look for health information online according to results of a new Harris Poll. This represents nearly 175 million adults who have looked up health information online at least once. Of these, 62% of online adults have looked for health information at least once in the past month, with 26% searching for health information 3-5 times a month, 6% searching 6-9 times a month, and a whopping 17% searching 10 or more times in the past month. Only 8% believe that the information they found was unreliable. 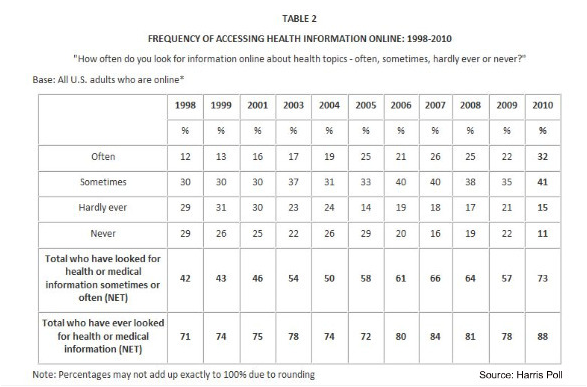 53% of adults who have looked up health information online discussed the information with their doctors. 50% of adults who have looked up health information online say they have searched for information on the Internet based on discussions with their doctors. With this many adults searching for medical information online, it is imperative that you ensure the sources you turn to provide the most accurate information. 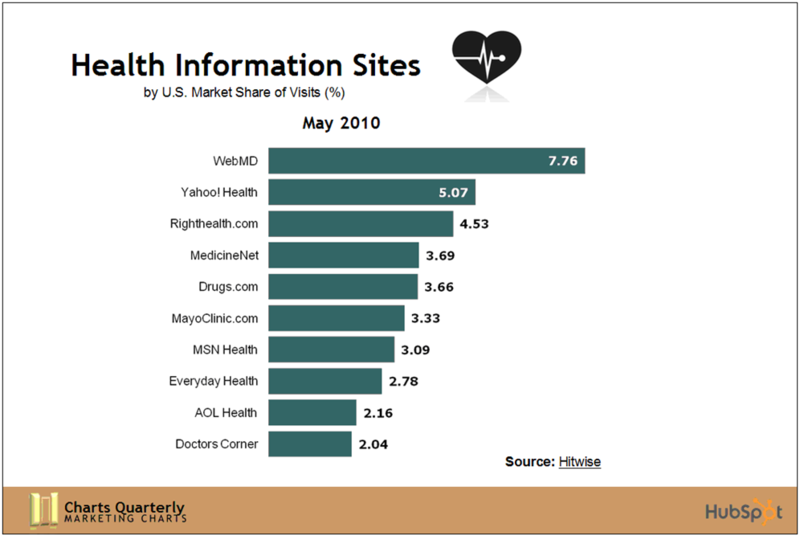 Underscoring this need to see accurate information is some alarming research conducted by the Opinion Research Corporation in the fall of 2007 that found that 54% of users who sought health information online followed the advice even when they didn’t believe it! There are very reputable medical Web sites that provide a wealth of information about a broad spectrum of medical conditions. And there are plenty of quack sites that dispense entirely spurious medical “advice.” So how can you tell the difference? Ask your doctor if he or she recommends the Web site. Look for the Health on the Net (HON) seal of approval which is only given to sites that have been accredited against a strict set of principles. If you don’t see the HON seal on the site, you can search for it. Your health and the health of those you love is not something to take chances on. Though qualified medical Web sites provide a wealth of information that can help you understand symptoms and illnesses, no Web site will provide you with better or more reliable information than a well trained medical specialist who knows you, your family members, or your pet. Before treating yourself based on information you find online, always consult with your own medical advisor. This entry was posted on Thursday, August 12th, 2010 at 9:05 am and is filed under Linda's Blog. You can follow any responses to this entry through the RSS 2.0 feed. Both comments and pings are currently closed.